I didn't spend a lot of time at Animal Kingdom and Hollywood Studios, but I visited AK twice and HS briefly. 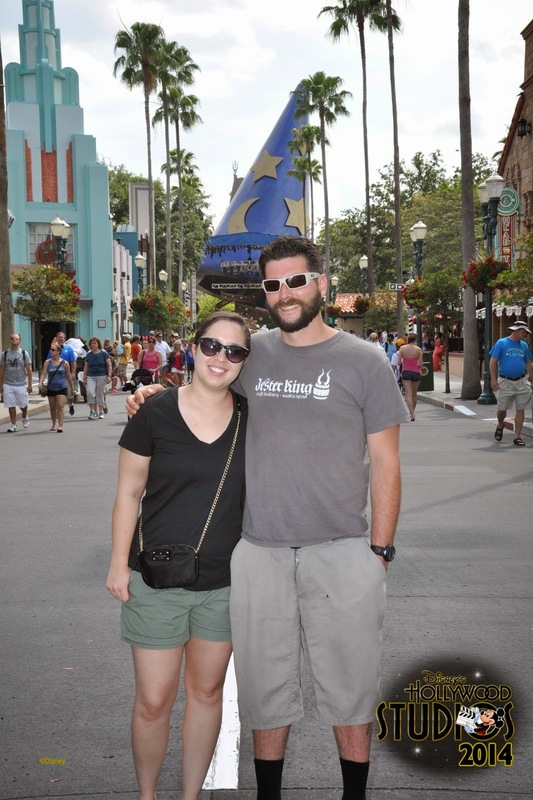 At Hollywood Studios, we did the Star Tours ride and the Indiana Jones stunt show, but sunburn and the heat drove us back the hotel. 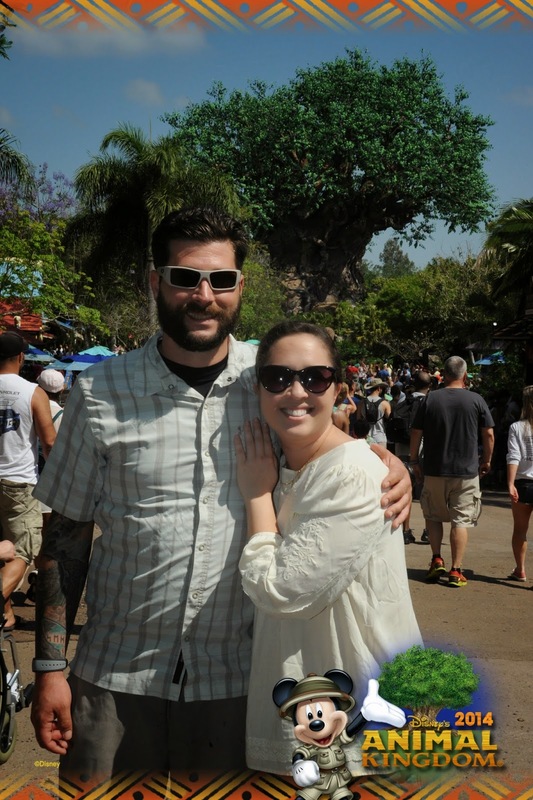 Animal Kingdom treated us better, with great views of animals (Dan liked the anteater) and my favorite Kilimanjaro Safari. We also enjoyed some falafel and hummus, and walking through the park. We knew we had reservations at Magic Kingdom for FastPass+ and dinner, so we didn't linger too long, but we liked the scenery. Later in the week, Lindsey and I headed back to AK. 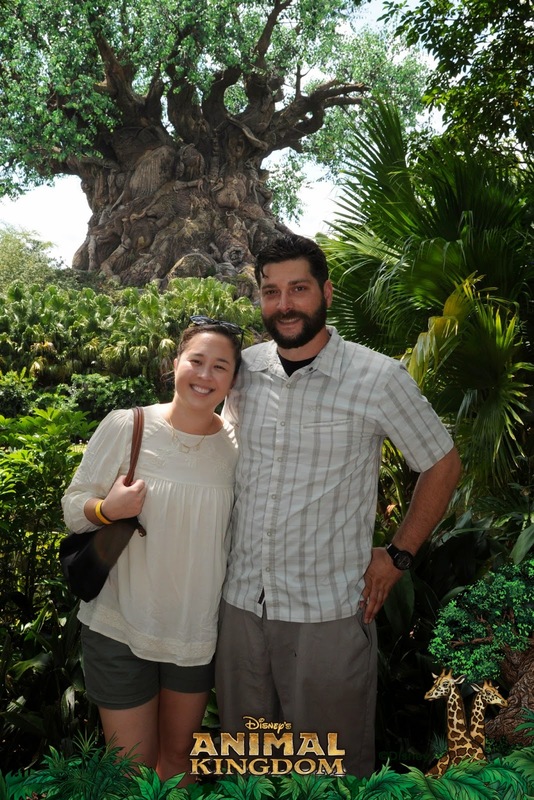 She actually used to be a cast member driver on the Kilimanjaro Safaris, so we braved a downpour of rain to experience that ride. It was worth every minute! Before the ride, Lindsey mentioned that the animals love rain... and she was right. We saw a half dozen giraffes together, hippos and rhinos squelching in mud, a half dozen giraffes together in a palm grove, and even a lioness on top of the rocks that were too hot the previous weekend. But my favorite? Nearly a half dozen elephants, including a baby, playing in the water. It was amazing! That's good to know about the animals loving rain since it rains all the time in Orlando. You missed some fun stuff in the Studios though! I even had unused FastPass+ for Studios. :( But I crammed too much in for my prince I think. He needed a slower pace, and he was honestly not in the mood when we walked into Studios.